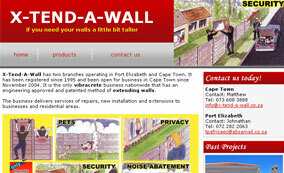 X-Tend-A-Wall-Capes has two branches operating in Port Elizabeth and Cape Town. X-Tend-A-Wall delivers services of repairs, new installation and extensions to businesses and residential areas. MM Gallery offers a platform that showcases a wealth of talented artists whose works are affordable and of high quality; the art is available in a mix of mediums with options to suit all budgets. Find out the latest news on what's hot and happening on the strip. Loads of specials every night! Epic parties and awesome promotions will keep you coming back for more and more. 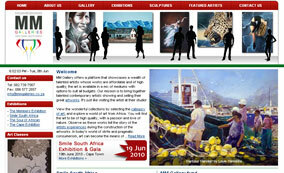 Welcome to sitedesign.co.za, web design Cape Town. We strive to provide you with the best possible web design services at the lowest possible costs. We offer basic, cost effective web site solutions to suite your personal needs. Our previous clients are achieving great results on major search engines and so could you. We can offer you a web site that not only looks great, but works smoothly as well with no hassles. Brighten up your old web site with a website re-design that will make it look and work better than ever before. Check if your Domain Name is available? How to Register Your Domain Name? 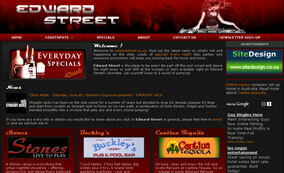 Affordable web designs that offers value to your service or product. Cheap, Reliable website hosting, starting at only R79 per month. Save paper and do your part for mother nature, get a fax-to-email account. Contact us to advertise on this website.